Google is hosting a big A.I. challenge that birds riding bicycles aren’t invited to. The challenge is called the Unrestricted Adversarial Examples Challenge, and its a machine learning exercise that splits participants into two groups. The first group is the “Defenders”, which is comprised of programmers who want to develop advanced image recognition algorithms that can accurately perform image processing to identify objects in images. The second group is the “Attackers”, and their job is to create digital art, renders, or photos that are clearly identifiable by human eyes, but a nightmare for image recognition models to work with. The fun twist is what’s involved with the images: birds and bicycles. The Attackers group must create images that include a bird that looks like a bicycle, or a bicycle that looks like a bird. As if that wasn’t already confusing, if you submit a photo of a bird riding a bicycle, then you’re instantly disqualified. 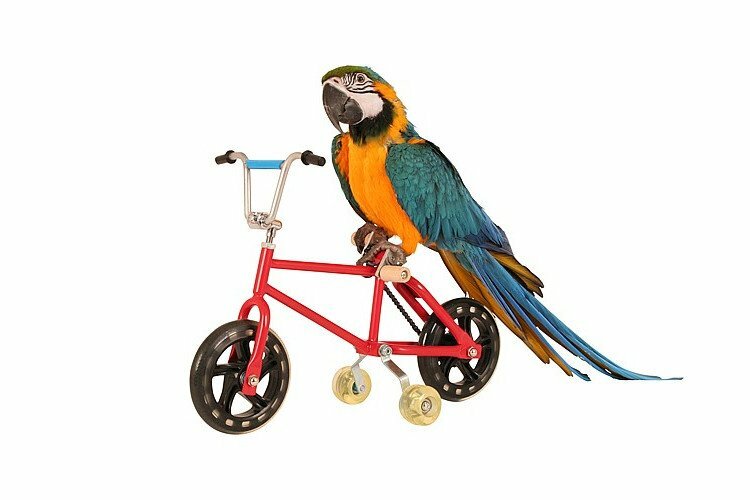 It sounds nuts, and maybe it is, but any algorithm that can go 90 days without failing to identify a bird/bicycle image will win one-fourth of a prize pool that could end up being worth hundreds of thousands of dollars. Google wants to see some seriously smart algorithms, and it’s willing to pay a pretty penny for them. You can read more on the official Google blog.